Quantum Circuits, Inc., a Quantum Computer Startup out of Yale, Opens Lab in New Haven // Quantum Circuits, Inc.
NEW HAVEN, Conn., Jan. 24, 2019 / Today QCI officially opened its New Haven development and testing facility for quantum computing, which includes 6,000 square feet of state-of-the art laboratories and in-house manufacturing; it will house over 20 scientists and engineers. The company plans to grow significantly over the next several years, increasing both the size of the facilities and number of highly-skilled employees in New Haven. 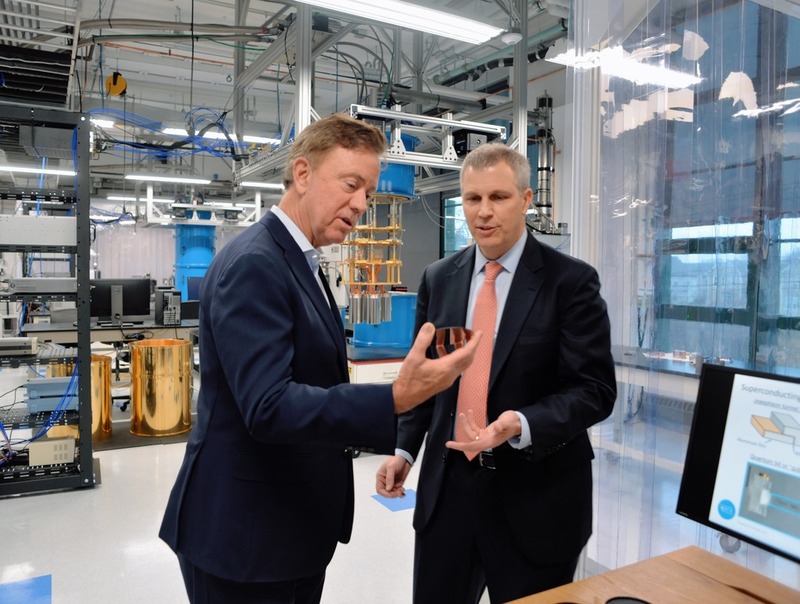 The ribbon-cutting ceremony included participation from Connecticut Governor Ned Lamont, Vice Provost for Research at Yale Peter Schiffer and QCI Co-Founder/Chief Scientist Robert Schoelkopf. QCI is developing the first practical quantum computers. Quantum computing has the potential to enable calculations that are orders of magnitudes faster and more powerful than today's supercomputers for certain types of problems. Applications will include drug design for biotech, materials science, improved processes for industrial chemicals, fintech, logistics, machine learning, and energy. “We have already seen the power of combining fundamental scientific understanding with the multidisciplinary engineering team that we are building at QCI,” said QCI Co-Founder and Chief Scientist Robert Schoelkopf. “These new facilities will enable us to accelerate our development efforts, and ensure that New Haven leads the way into the next wave of computing." QCI’s roots have always been in New Haven. The company is an example of Connecticut as a home for new and innovative technology, often with academic work at Yale contributing to the momentum. © 2019 Quantum Circuits, Inc.